I take great pleasure in assisting people with the purchase and/or sale of their homes in the Southern NH and Northern MA areas and I would welcome assisting you! Contact me today! I would welcome providing you with a complimentary Market Analysis and customized Marketing Plan for your home! With over 20 years of combined Residential and Corporate Real Estate experience, Catherine brings a multi-faceted corporate background and professional approach to residential real estate which leverages her broad education and deep knowledge in real estate project management, interior design, architectural design, construction, leasing, negotiations and financial analysis. 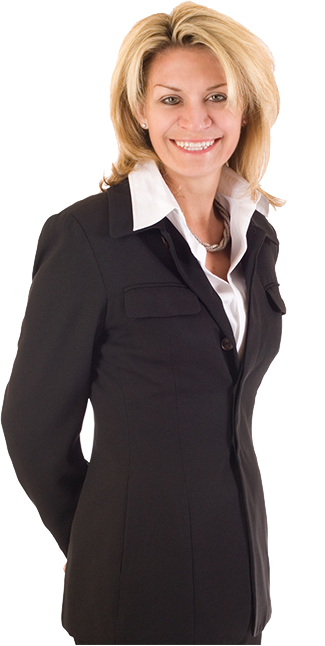 As a full-time and results driven REALTOR®, Catherine enjoys achieving her clients real estate goals and objectives. She respects that her clients are entrusting, what is perhaps, their largest financial investment with her. Catherine’s testimonials from many satisfied clients and customers speak to her ability, character and competency. Well-regarded by her peers for her attention to detail, professionalism, work ethic and commitment to personal service, Catherine has received numerous accolades for her career achievements. A seasoned professional who treats her clients with genuine care and warmth, she is highly regarded for her real estate technical skill and expertise, local community knowledge, communication skills, integrity and upbeat demeanor. Catherine’s clients and customers consistently laud her for her ‘above and beyond’ level of service and, as a result, most of her business is based on referrals from satisfied clients and customers. For sellers, Catherine achieves maximum selling price and shortened sales cycle through the use of extensive marketing to showcase your home at its best and utilizes her negotiation skills and experience to achieve her clients desired terms in their sales contracts. For buyers, Catherine enjoys assisting her buyer customers or buyer clients in finding and procuring a home. And with her dual licenses, Catherine is the perfect choice to represent home buyers and sellers needing to make cross-border transactions in New Hampshire and Massachusetts. If you are seeking a licensed REALTOR® that provides a high caliber of service, please feel welcome to contact her via cell, text or email. A native of Keene, NH, Catherine has resided in Atkinson, NH since 1996 with her family. She is a former D1 athlete and carrries that experience to real estate with a disciplined, competitive and smart work ethic. She enjoys a vegetarian diet, exercising, walking her rescue dog Zeus, hot yoga, golf, as well as spending time with her family and friends. Catherine supports the community that she lives and works in, with both her time and charitable donations. 2015 – 45.61 average days on market, 97% average list-to-sold price and $376,538 average sold price. 2014 – 100% list-to-sold ratio, 26.75 average days on market, 99% average list- to -sold price and $364,376 average sold price. 2013 – 93% list-to-sold ratio, 68.53 average days on market, 96.28% average list-to-sold price and $385,993 average sold price. 2012 – 86% list-to-sold ratio, 11.33 average days on market, 100.3% average list-to-sold price and $315,366 average sold price. 2011 – 83% list-to-sold ratio, 115 average days on market and $380,000 average sold price.